Create a garden oasis indoors or out! 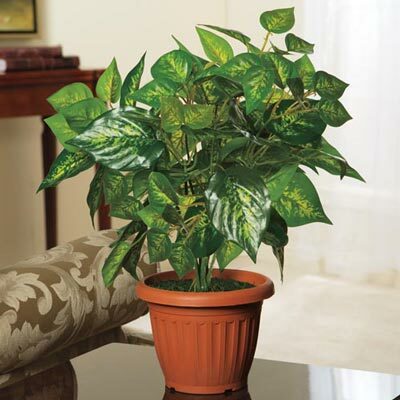 Life-like polyester faux Forever Green Philodendron stays green no matter how much you neglect it! Comes ready to display in a stylish terracotta-coloured plastic pot or "re-pot" in your own planter. Imported. Approx. 18"h.